Every life is worth living, so why not show off your patina? That’s exactly what I imagine went through Chris’s head when he first lay eyes on Tudor‘s Black Bay Bronze. As it turns out, I wasn’t far wrong, but there were also plenty of other good reasons for him to seal the deal. I am a self-confessed watch geek. When Baselworld 2016 was on I was reading about the new releases online and watching the big reveals on Instagram. 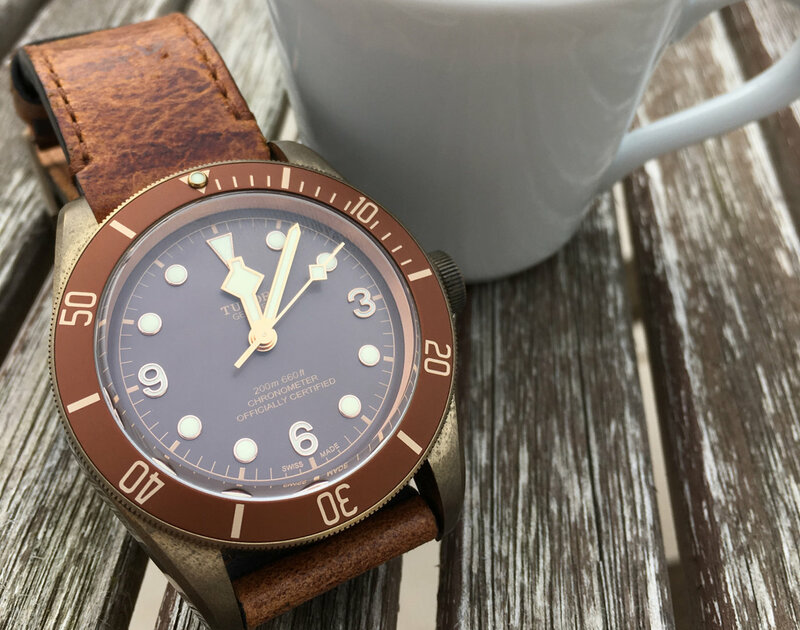 The Tudor Black Bay Bronze caught my eye and it ticked a lot of boxes in terms of things I was looking for in a watch. Bronze case, in-house movement with impressive 70-hour reserve, no date, brand heritage, and it also had nice details in the form of the gilt snowflake hands and 3, 6, 9 dial. I had recently been promoted at work and had received a bonus that I could use as a deposit on a watch. I had also lost a close family member a few months earlier and it had definitely shifted my perspective in terms of living life, enjoying the time you have and not putting off the things you want to do or experience. These two factors gave me the means and motivation to make the purchase. I have quite a broad interest in watches, so I weighed up a few different options, both modern and vintage. For me, some of the most important deciding factors are how practical the watch is: will I wear it and how does it fit in with the rest of my collection? 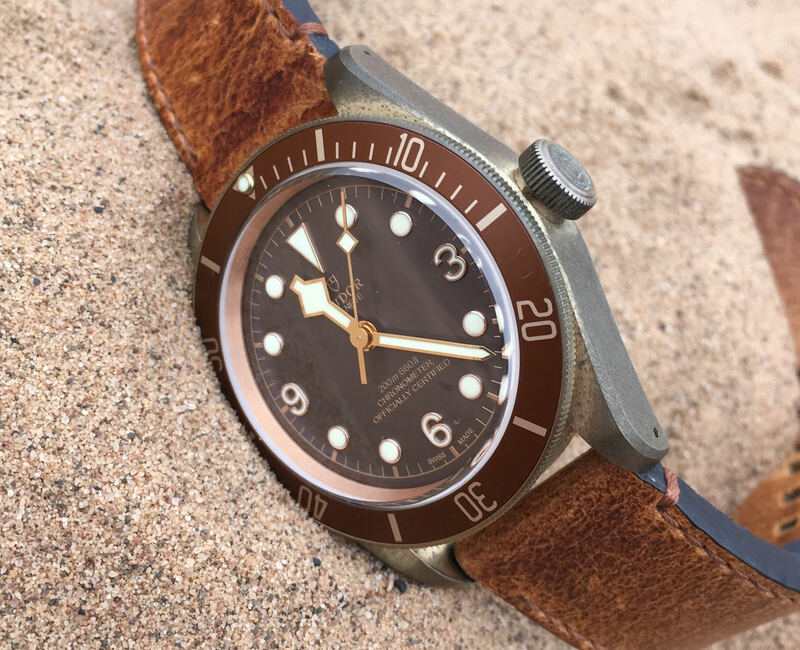 The Tudor Black Bay Bronze is a very practical watch; as a dive watch, you know it will be robustly constructed and that it will withstand most of the things life throws at it — in the UK that most notably means inclement weather! The BBBronze has a number of interesting features that other watches in my collection didn’t have. 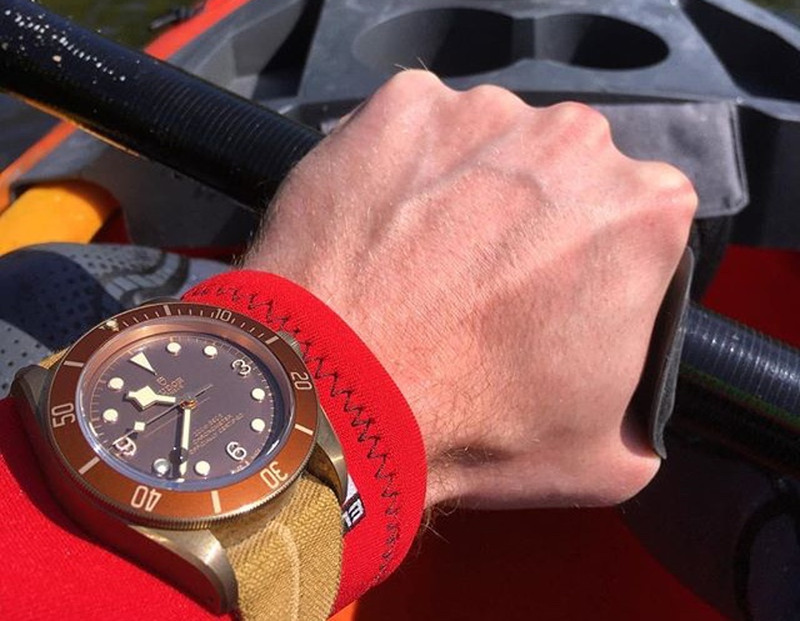 Tudor also has its shared heritage with Rolex, but in many ways it seems like a more innovative and creative brand. I think they are more inclined to experiment and try things that would be too radical for the steady evolution of their big brother. The quality is even better than I was expecting. There are small but tangible differences to the other watches in my collection, such as the smoothness of the crystal, and the precision of the crown when you rotate it. I’ve also been surprised by how the patina has developed — the crown and strap buckles are slightly greener than the case. It is hard to capture in photos, because it is a subtle difference, but it is there. I wear a suit to work most days, so I don’t tend to wear the Tudor Black Bay Bronze that regularly Monday-Friday; it is just a bit too big and bold for everyday use. It doesn’t sit comfortably under a shirt cuff and jacket and the bronze case doesn’t feel as smart as steel. It is, however, a perfect weekend and holiday watch. In my opinion, it is a perfect smart casual option — it goes well with chinos, jeans or shorts, depending on what you’re doing, and it doesn’t look out of place at a bar or on the beach. I also think that in the bronze case it is quite under the radar; it has sparked up conversations with fellow watch geeks a couple of times but for the general public it doesn’t really stand out, which I really like. I have quite skinny wrists so, for me, this is at the larger end of the scale in terms of what I can comfortably wear. I think it’s comfortable on a leather strap or NATO — the shape of the lugs and overall lug length make for a very good fit. I think it is fair to say that you are aware of this watch on your wrist when you are wearing it, due to its size, but at the same time it is not heavy and never feels like it’s in the way. The OEM straps are really good. I tend to wear the leather strap in winter and the fabric strap in summer. The lug width is 23mm, which limits the options in terms of aftermarket straps. 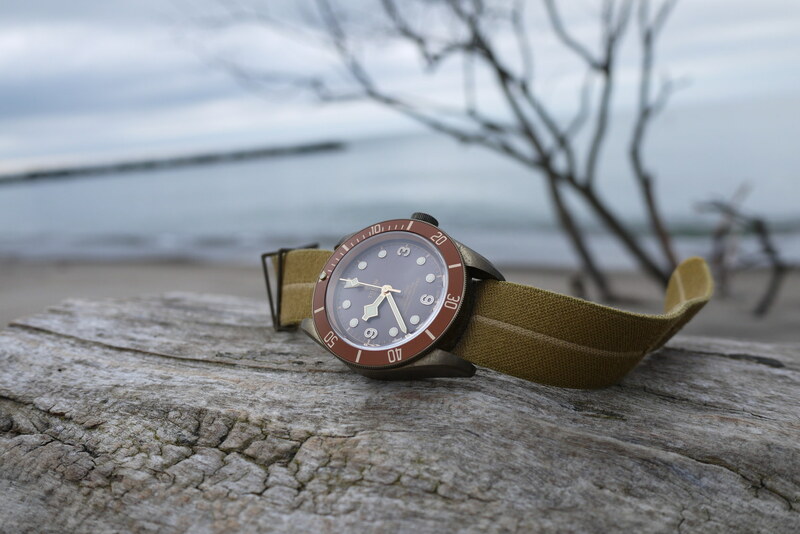 There have been a few strap releases over the last two years designed specifically for the Tudor Black Bay Bronze, with 23mm width and bronze hardware, and there are certainly some good-looking options out there. When considering alternatives, I usually ask myself if I think it will look better than the OEM and if it will be more practical than the OEM; often the answer is no. I like changing the look of my watches by changing the straps, but I don’t like to change the straps too often. I often find one or two combinations that I like and I stick with them.